Operate can export financial information that you can use with your chosen Accounting System. 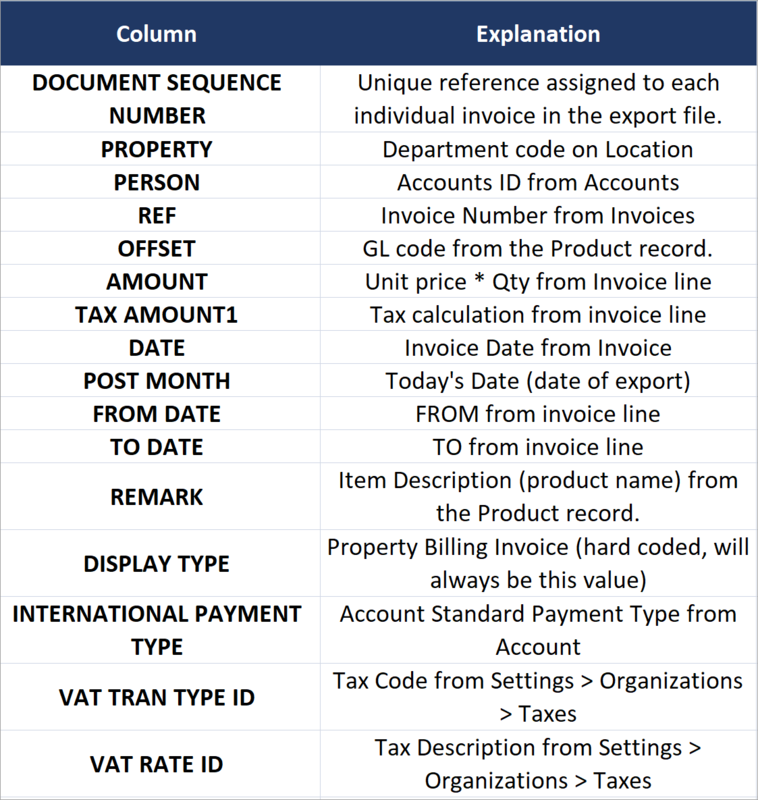 There are many integrations we have developed for specific Account Systems, however if your system isn't in this list, then you can use the standard exports to download a .csv file with your Invoice and Credit Note information. Every time a transaction takes place within Operate, it is recorded within the Accounts Receivable module. However, since Operate does not provide any accounting features other than the Accounts Receivable module, you would need to export your transactions to a dedicated application in order to update your accounts. At the end of each month, one of your staff members would need to log into Operate, access the Operate Financial Export and export unbooked transactions. Operate will generate a .csv file containing your data. You would need to import this file into the accounting system you are using in order to then use the data to keep your accounting up to date. This type of export is not real time and requires you to maintain a set of identical information within both systems in order for the export to run correctly. Operate provides two standard financial exports, which you can use independently, depending on whether you prefer to calculate tax to the total invoiced amount or per invoice line. The Operate Financial Export (available under Settings > Integrations > Operate Financial Export) outputs Invoice and Credit Note lines and calculates tax to the total amount. The export adds 'VAT Posting' lines to highlight tax calculation per invoice. The Standard File Export (Settings > Integrations > Standard File Export) outputs Invoice and Credit Note lines and calculates tax per line. When the overall tax is slightly different to the additions of tax line by line, then Operate will calculate the difference and adjust it. The export setup and process is the same with both exports. What differs is the information each contains and the way each of them calculates tax. We will discuss both of these aspects below. What is Included with the Exports? The exports do not include Payment transactions. In the event that the export might fail or an error has been made the database can be restored from this back up. 2. Take note of your existing balance within your accounting system. Before exporting, check the debtors balance within your accounting software and take note of it. You should be able to see this balance easily or run a report for it - there are many such systems out there so if you have any issues obtaining this information, we recommend finding instructions from your provider. When your export is completed, your balance should be the sum of your pre-export balance and the total that the exported transactions amount to. 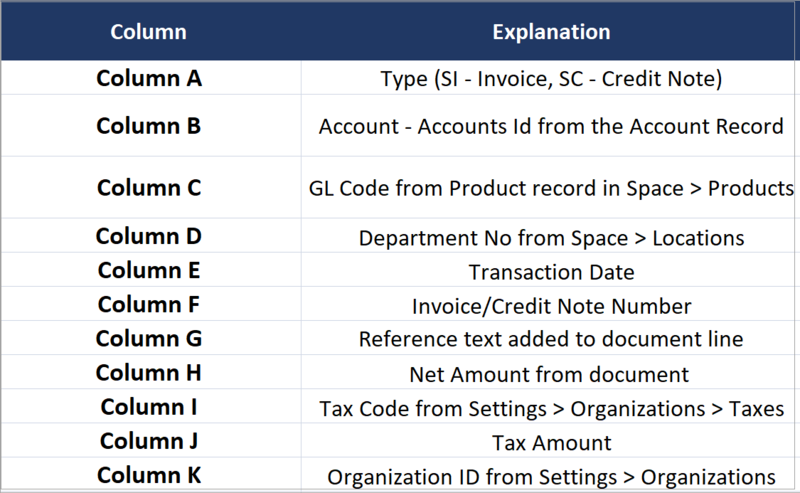 Account IDs/Customer Names - Ensure that the Operate Account ID (found in Member > Accounts) matches the account/customer name in your accounting system. Product Names - Your Products also need to be identical in both systems. To retrieve a list of Operate Products, you can go to Space > Products and export the 'All Products' list view. When you next run an export, you can create a new list for products created within the past month, as shown for Accounts. GL Codes - In Operate, you need to set up GL Codes at the Organization level, under Settings > Organizations > GL Codes. 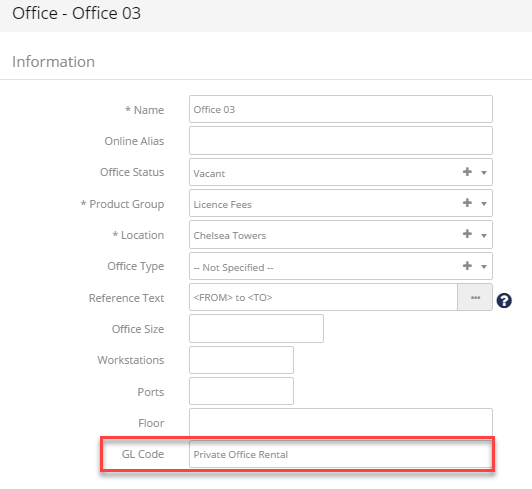 Operate also has to have the GL Code field populated on all Products, to match the ones in your accounting system. When you run the export for the first time or you add new products to either systems, please check Space > Products and edit any product that does not have a GL Code. You can use list views here as well to easily see which products don't have a GL code (you can add the GL Code column to the list - Please read the dedicated guide on Using List Views for more details). Taxes - In Operate, go to: Settings > General > Organizations > Taxes and edit the Standard VAT / Tax Rate. Here is where the Tax Code field will need to be set to match the tax codes within your accounting system. You will then need to ensure that all products have the correct associated tax set within Operate (this can be done by bulk update using the update fields within product list views under Space > Products.) You can also use list views or the 'Filter' box to narrow down to the products you need to update. This step allows you to check whether there are any unknown values on the export. Go to Reports, in Operate, then look for the 'Un-Booked Invoice Summary' Report and open it. Run the report for invoices issued this month. This report will show you all the invoices available for export. Email to yourself and keep for reconciliation post export. Remember to record the Gross figure including VAT as this will be the total sum exported. It is important to prevent invoices from being raised during your export otherwise this could make reconciliation very difficult as an invoice with the same date as any exported invoices could be raised but not exported. To do this, go to the Operate Settings > Organizations > then select your organization. You can also search for 'Organizations' in the global search box next to the Operate logo to find your list of configured organizations. Once you edit your organization, you will find a field called 'Disable Transactions on or Before', where you can set the current date. 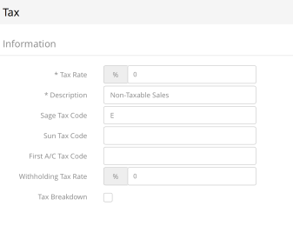 This will ensure that no invoice will be generated while you are working on the export and after it has been completed. When you are ready, save the change you made to the organization record. To start running your export, go to Invoicing > Operate Financial Export. If you don't see this option, go to Settings > Integrations > Invoicing and install the 'Operate Financial Export' app. Once installed, click Open or go back to Invoicing > Operate Financial Export. Select the Organization that you want to export for. Select what you would like to export: Choosing Unbooked Transactions will export transactions that would not have been exported before. Booked Transactions may already be exported. Exporting booked transactions may lead to duplicates in your financial accounts - please use this option cautiously and only if you need to correct any errors within the export (e.g. if you need to make changes to any record after having exported). Select what range of transactions you would like to export: All Transactions, Last Month's, This Month's or a custom transaction list. If you decide to Choose Transactions, you will be asked to select a Location then the specific year, month and transaction you want to export. Choosing custom transactions is a great way to re-export the booked ones when there are errors in your accounting system and you make changes to Operate before re-exporting. This way you are only exporting the failed transaction(s), not everything else. Your export is now ready - simply click the Export link to download a .csv file containing your data. All selected transactions will be marked as booked. After the export, the debtor account balance should now be the sum of the starting balance and the Unbooked Invoice Summary Report total. If it is not, investigate any failures to see which transaction is causing the difference and repeat the export. Since Operate is only providing the downloadable file containing your data, it is not possible to know whether any of the transactions will fail to import into your accounting system. Therefore, you will need to know how this system shows import failures. If a transaction has failed, correct the data in Operate and then re-export it. Failures are likely to be caused by any element listed above under "Before You Export", #3 that is not identical in both systems. To re-export, follow the same steps above, but select to export booked transactions, then choose custom transactions, where you should find and select the one that has failed. To export payments, go to Reports and run the 'Cashbook by Payment Type' report. You can export this to excel and import it into your Accounting Software.